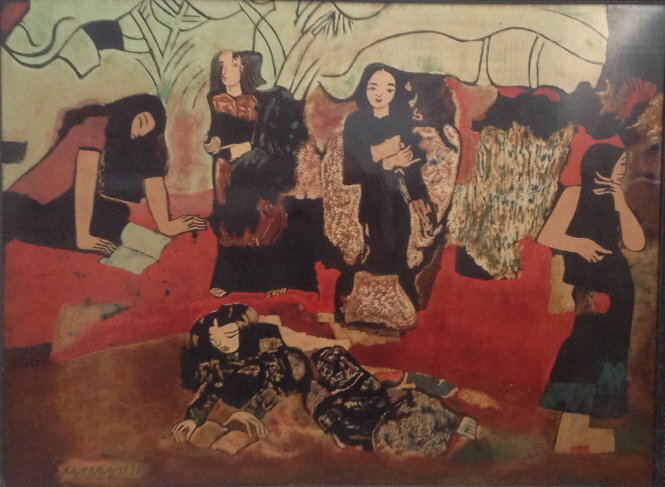 An exhibition featuring masterpieces by legendary Vietnamese greatest artists opened at Ho Chi Minh City Fine Art Museum on July 10. Famous paintings were collected by antiquary Vu Xuan Chung. Chung bought these art works from Christie’s senior consultant for Vietnamese art, Jean-Francois Hubert at the leading international auction house, Christie’s. The exhibition also present to painting lovers art works by famous artists, including Ta Ty, Nguyen Tien Chung, and Nguyen Sy Ngoc. 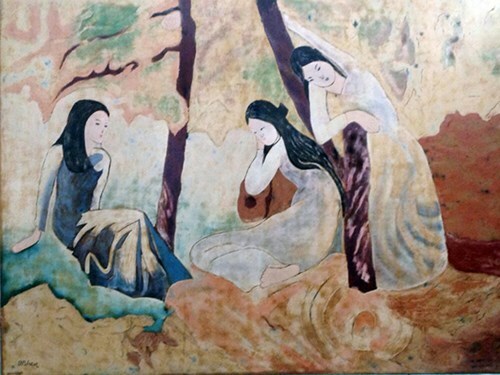 Painter Bui Xuan Phai (1920-1988), the founder of modern art in Vietnam, is known for his paintings of Hanoi’s old quarter, landscapes and young woman. His works are displayed in several national and international museums. He received the highest national award, the Ho Chi Minh Prize, posthumously in 1996. Nguyen Sang (1923-1988), is one of the great and old trees of Vietnamese lacquer, including Nguyen Gia Tri and Nguyen Tu Nghiem. Skillful painter’s works bring a great message about human destiny. He is a great talent of modern creativeness for Vietnamese Arts. He was posthumously awarded the Ho Chi Minh Prize in 1996. Duong Bich Lien (1924-1988) was born in a rich and authority family.Apart from his mastery of graphite, pastel and oil, another of Duong Bich Lien strengths was his skill with lacquer. The theme of Girl’s portrait was considered the most successful theme. He received the highest national award, the Ho Chi Minh Prize in 2,000. Nguyen Tu Nghiem (1922-2016) was keen on drawing at a young age. He was renowned as a creative painter who experimented in new materials for lacquer painting in Vitenam. He was also successful with oil paintings on canvas, pastel, and water color. Nghiem was awarded the Ho Chi Minh Prize in Literature and Arts in 1996. The exhibition will run until July 20.